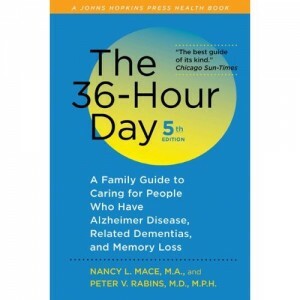 The 36-Hour Day, fifth edition: The 36-Hour Day: A Family Guide to Caring for People Who Have Alzheimer Disease, Related Dementias, and Memory Loss (A Johns Hopkins Press Health Book) | ExpressWell, Inc.
We add this book to our list of invaluable resources. Excellent guidance and clear information of a kind that the family needs… The authors offer the realistic advice that sometimes it is better to concede the patient’s frailties than to try to do something about them, and that a compassionate sense of humor often helps. An excellent guide with general information for family caregivers of persons with dementia… The text is person focused and describes the complexity and depth of the care required not only for persons with Alzheimer’s disease and other forms of dementia but also for caregivers. Nancy L. Mace, M.A., is retired. She was a consultant to and member of the board of directors of the Alzheimer’s Association and an assistant in psychiatry and coordinator of the T. Rowe and Eleanor Price Teaching Service of the Department of Psychiatry and Behavioral Sciences of the Johns Hopkins University School of Medicine. Peter V. Rabins, M.D., M.P.H., is the Richman Family Professor of Alzheimer Disease and Related Disorders in the Department of Psychiatry and Behavioral Sciences of the Johns Hopkins University School of Medicine. He has joint appointments at the Bloomberg School of Public Health in the departments of Mental Health, and Health Policy and Management. Dr. Rabins is also the director of the Division of Geriatric Psychiatry and Neuropsychiatry, the T. Rowe and Eleanor Price Teaching Service, and the Jane K. Schapiro Family-Centered Dementia Care Program. Without question this book was the most valuable resource I was given when taking care of my father at the end of his life. A must-read for anyone attempting to care for loved ones with memory loss, dementia or Alzheimer’s disease. — Alexandra Yperifanos, Founder, ExpressWell, Inc.